Welcome Home to this W/O Bsmt 2 Story! Enjoy 4 Bedrooms upstairs, Patio, Deck, 3 Car Garage. 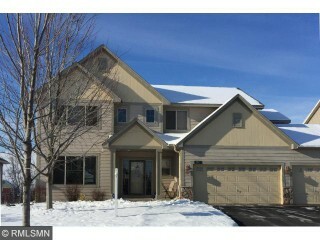 Don't miss walking path/ pond views & lawn sprinkler. Newer Construction without Building- Instant equity in unfinished lower level. Enjoy the Pool on Hot Dayz!